Chapman Stick and Theremin comprise the topline attraction when John Armstrong and Dale Ladouceur pair up to provide a live embellishment to an audio-video work by French ambient artist Phillippe Neau (aka nobodisoundz) at Bohemia (10217-97 Street) Tuesday, May 5 at 9 p.m. 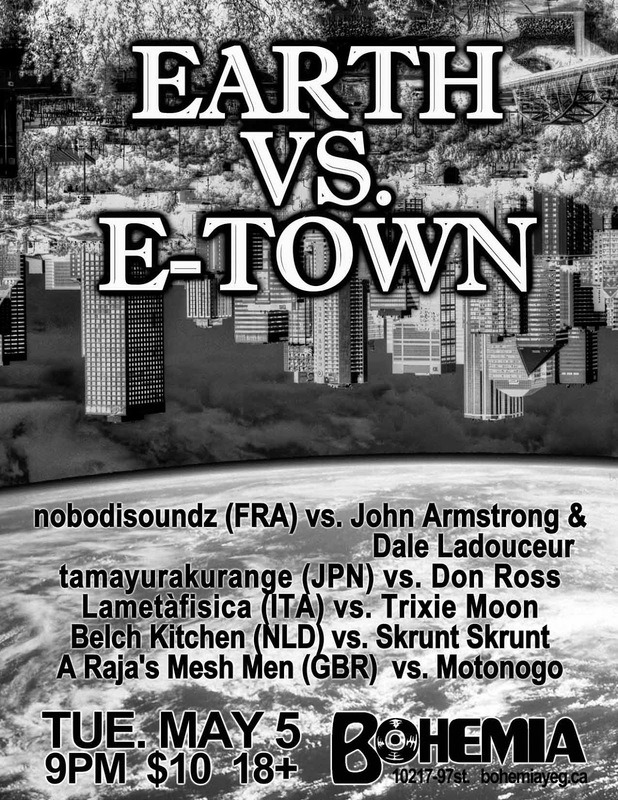 Admission to the no-minors event, Earth vs. E-town which matches local performers with the compositions and videos of international artists, is $10. Armstrong, recognized as a world-class Theremin player, whose credits include The Stone Merchants and Leo.FX as well as organizing such events as the Xmas Carol Project and Sasquatch Gathering, will team up with Ladouceur, whose prowess on the 10-stringed Chapman Stick has garnered her international acclaim and a featured artist ranking on stick.com, the instrument’s official website. The two will add live textures to the nobodisoundz work “Long Distance Dreamer,” a dark ambient effort that adds to his sonic inventory regularly heard across Europe. Additional performers include Don Ross playing clarinet with a piece by Japan’s tamayakurange, performance artist Trixie Moon adding her touches to a project by Italian noise artist Lametàfisica, Skrunt Skrunt adding a visual treatment to the Netherlands-based Belch Kitchen and Motonogo providing cacophony to UK-based audio artist A Raja’s Mesh Men.